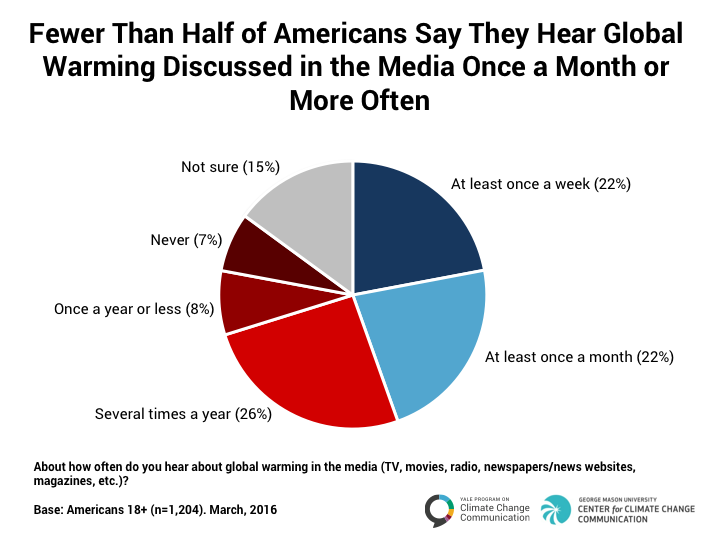 Home / Publications / Is There a Climate “Spiral of Silence” in America? 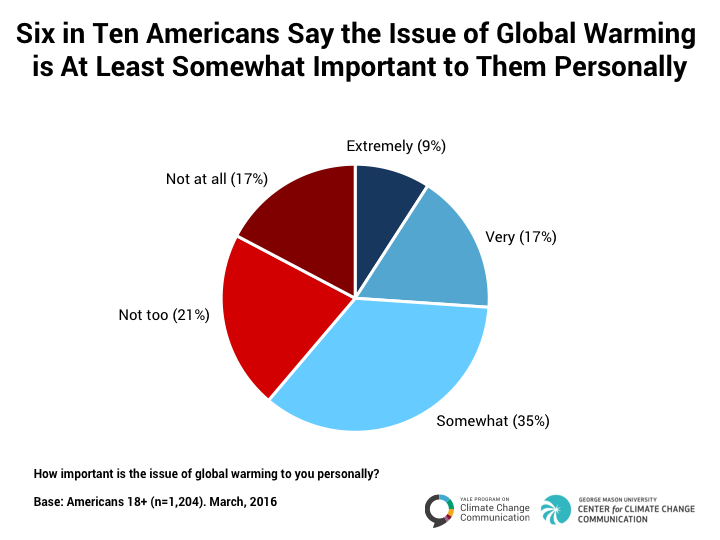 Most Americans say global warming is personally important to them, but don’t talk or hear about it much. 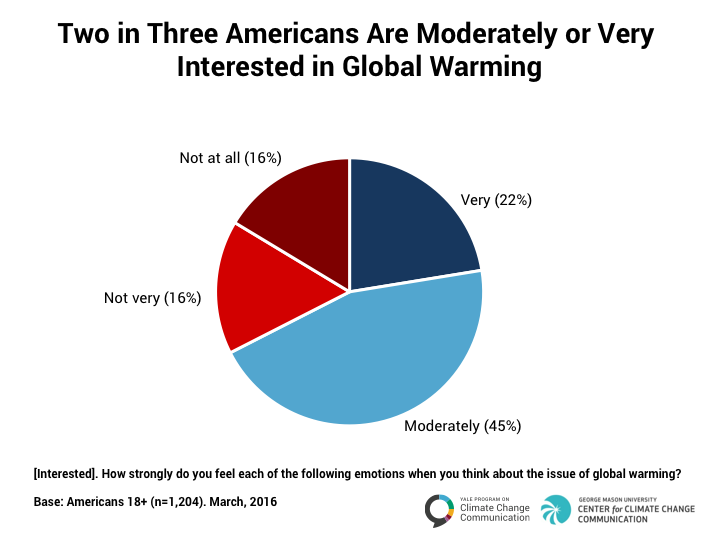 Our surveys have repeatedly shown that most Americans are interested in the issue of global warming and consider it personally important. 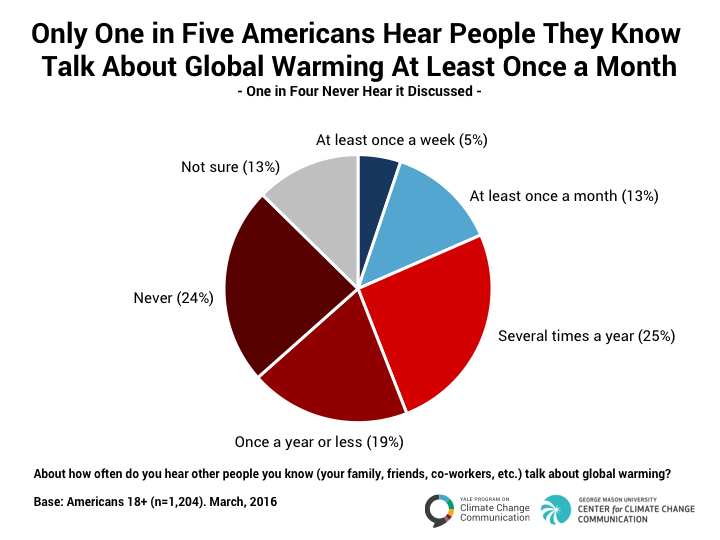 Our studies, however, have also shown that for most Americans, climate change is not a common topic of conversation or something they hear about much in their daily lives. This suggests that there is a climate change “spiral of silence”Noelle-Neumann, E. (1993). 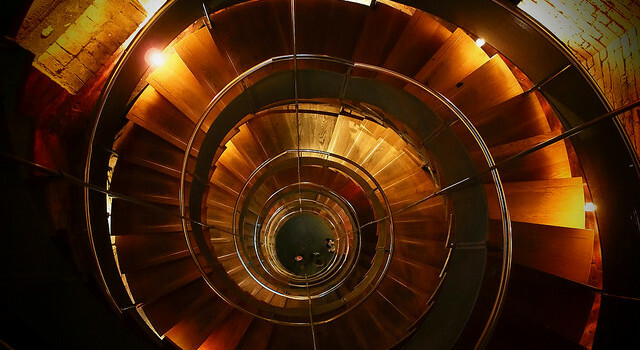 The spiral of silence: Public opinion — our social skin, 2nd Edition. University of Chicago Press. Chicago, IL., in which even people who care about the issue, shy away from discussing it because they so infrequently hear other people talking about it – reinforcing the spiral. Here we use data from our most recent national survey to explore this concept. 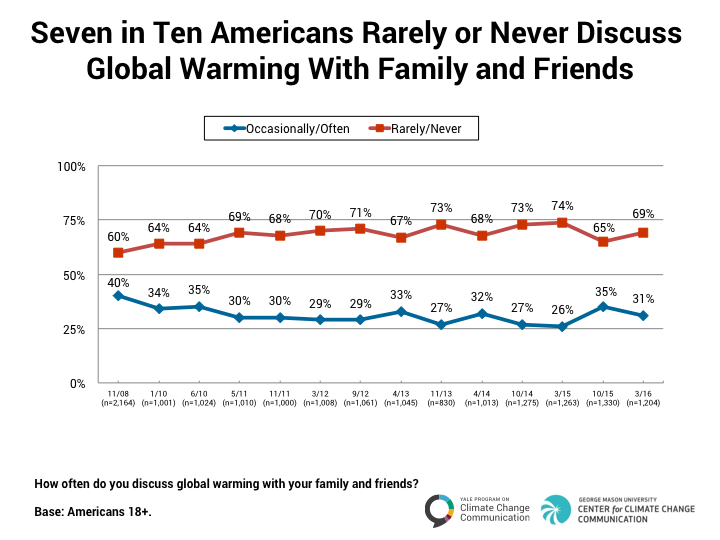 As you’ll see below, we find that more than half of those who are interested in global warming or think the issue is important “rarely” or “never” talk about it with family and friends (57% and 54% respectively). So we pose the question to you: Do you think there a spiral of silence about climate change in America? Do you find yourself or others you know hesitant to talk about it? If so, why? Please share your answers via Twitter to @YaleClimateComm and @Mason4C, using the hashtag #climatesilence, or on our Facebook pages: Yale Program on Climate Change Communication and George Mason University Center for Climate Change Communication. Let’s talk about it! This climate note is based on findings from a nationally representative survey – Climate Change in the American Mind – conducted by the Yale Program on Climate Change Communication and the George Mason University Center for Climate Change Communication. The research was funded by the 11th Hour Project, the Energy Foundation, the Grantham Foundation, and the MacArthur Foundation. The sample was drawn from GfK’s KnowledgePanel®, an online panel of members drawn using probability sampling methods. Prospective members are recruited using a combination of random digit dial and address-based sampling techniques that cover virtually all (non-institutional) resident phone numbers and addresses in the United States. Those contacted who would choose to join the panel but do not have access to the Internet are loaned computers and given Internet access so they may participate. The sample therefore includes a representative cross-section of American adults – irrespective of whether they have Internet access, use only a cell phone, etc. Key demographic variables were adjusted, post survey, to match US Census Bureau norms. The survey instrument was designed by Anthony Leiserowitz, Geoff Feinberg, and Seth Rosenthal of Yale University, and Edward Maibach and Connie Roser-Renouf of George Mason University. Data are based on a nationally representative survey of 1,204 American adults, aged 18 and older. The survey was conducted March 18–31, 2016. All questionnaires were self-administered by respondents in a web-based environment. The survey took, on average, about 26 minutes to complete. All samples are subject to some degree of sampling error – that is, statistical results obtained from a sample can be expected to differ somewhat from results that would be obtained if every member of the target population were interviewed. The margin of error for this survey, at the 95% confidence level, was plus or minus 3 percentage points. For tabulation purposes, percentage points are rounded off to the nearest whole number. As a result, percentages in a given chart may total slightly higher or lower than 100%. Summed response categories (e.g., “very interested” + “moderately interested”) are also rounded. Maibach, E., Leiserowitz, A., Rosenthal, S., Roser-Renouf, C., & Cutler, M. (2016). Is there a climate "spiral of silence" in America?. Yale University and George Mason University. New Haven, CT: Yale Program on Climate Change Communication.